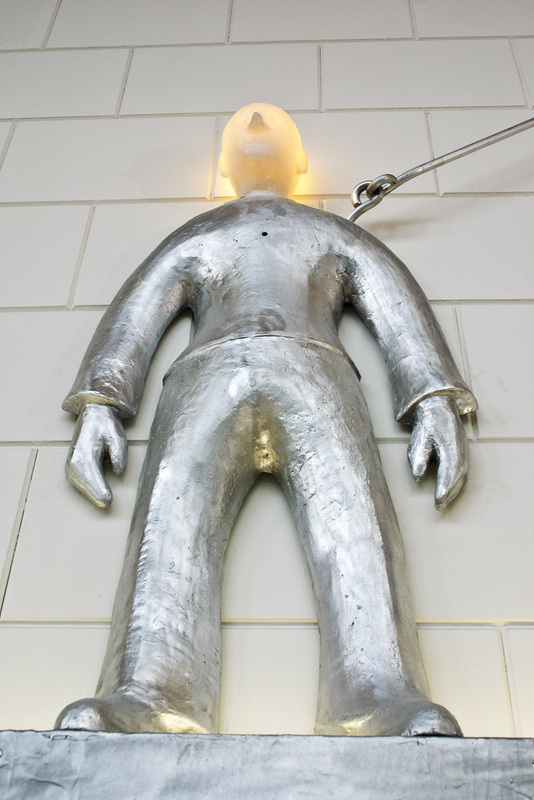 A large trophy cabinet is topped by a man with a flashing head. 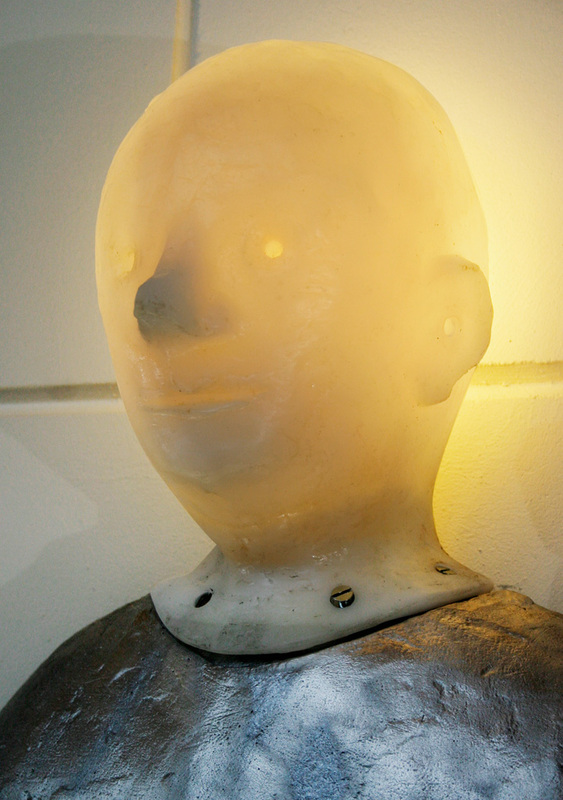 His head flashes red with shame, pride or exertion or a combination of them all. Who knows? 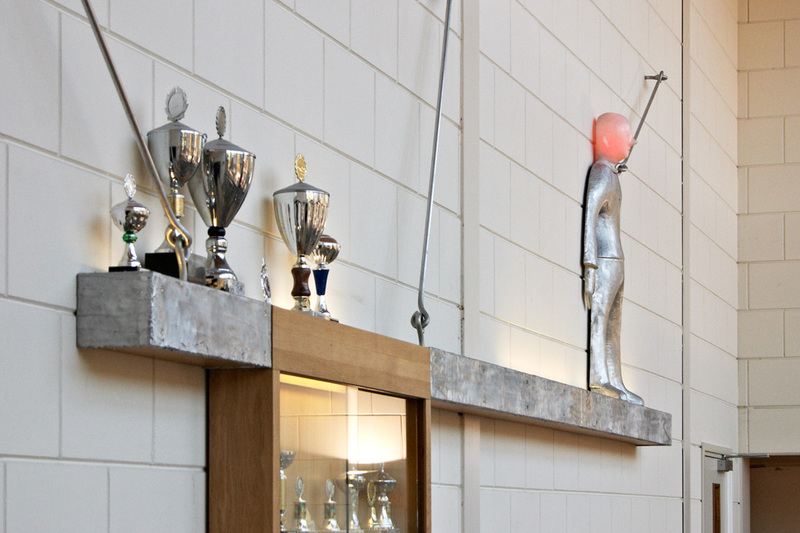 The trophy cabinet, or rather a beautiful cast aluminum trophy shelf, is visible from the street. 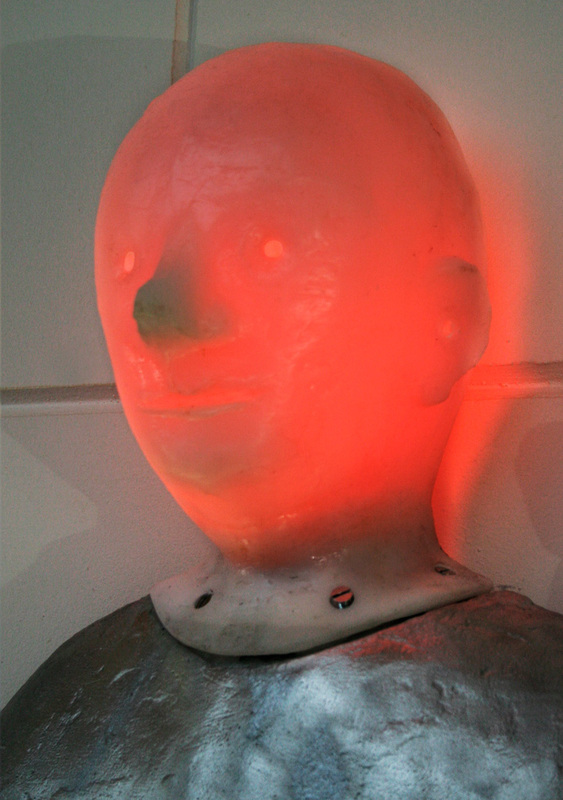 It is illuminated at night. 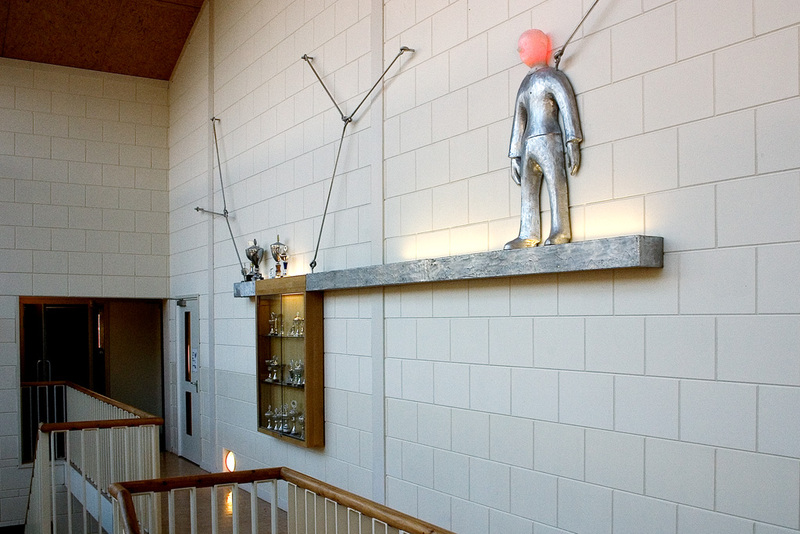 The installation gives everyone who passes by a glimpse of the achievements of the school’s pupils. 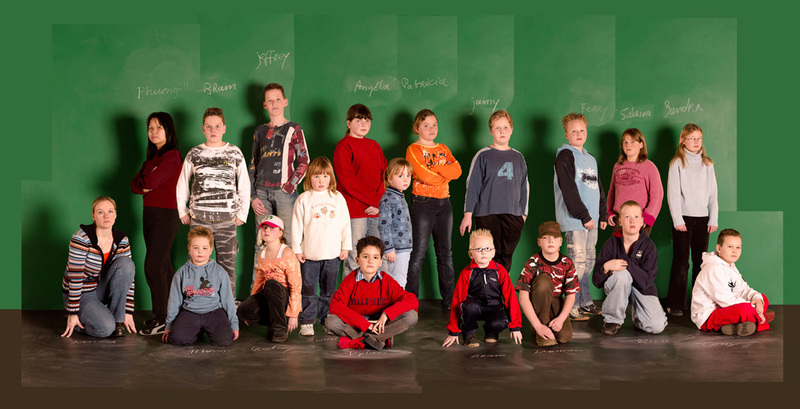 Also part of Zijlmans & Jongenelis’ artwork for Christian primary school The Lighthouse is a series of five composite group photographs of children, selected on the basis of different physical characteristics. The same hair style, different skin colours, pose and more were deciding factors for composing the various teams. 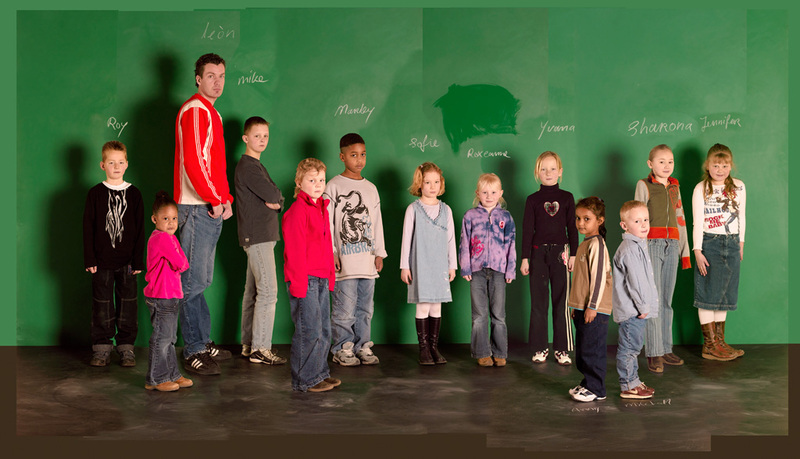 A school’s task is to instruct pupils in a number of subjects, but it is also a place for children to meet children and children to meet adults. In that context, various patterns and ‘rules’ become apparent. Who are you in that structure? And how do you maintain your individuality? Identity and competition are important elements. Are you chosen first or last for the team in gym? And which characteristics decide that? Are you popular or not? And what does that depend on? 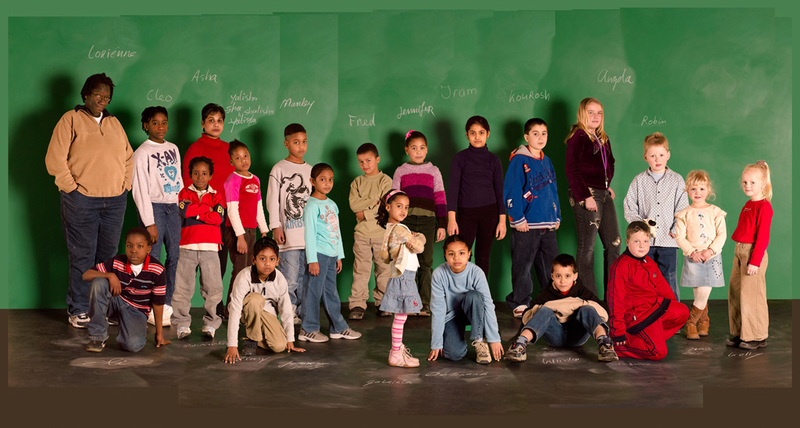 The composite portraits illustrate this side of the school jungle. 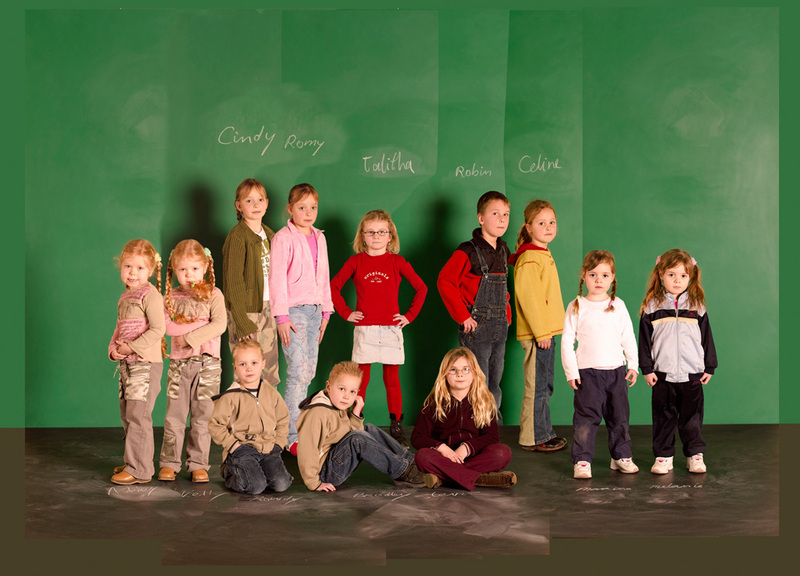 Zijlmans & Jongenelis photographed all the school’s students and teachers in a standing or kneeling position and from these shots chose the portraits for the montages. Are you in this photo, are you part of the team? And why were you selected? These are questions that immediately call the images to mind. The images are mysterious, because you have to think about what unifies the group. With the photos, Zijlmans & Jongenelis make it clear to everyone that ‘unwritten’ rules exist, but also that these are often ridiculous, relative and malleable. 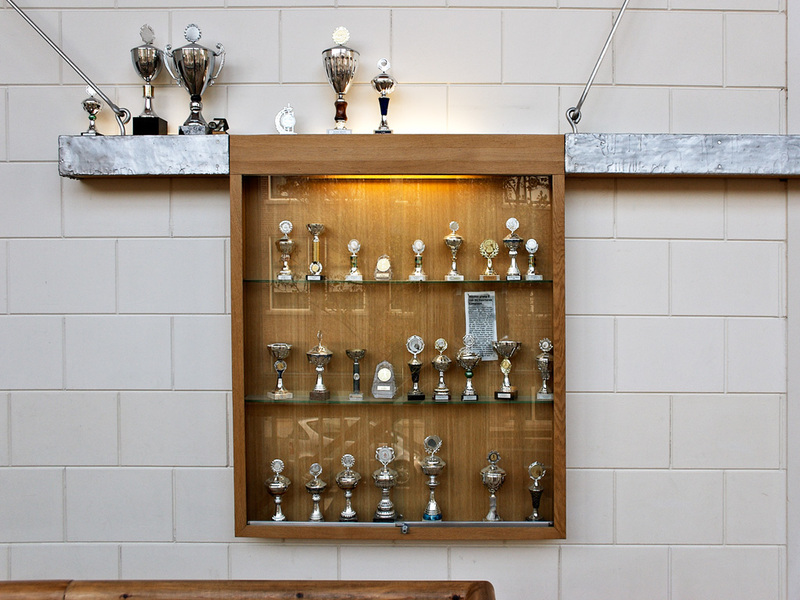 The trophy cabinet is symbolic of the common effort. You win the trophies together, for the honour of the school, of your class, your group. You show everyone out there that you can operate as a team, and do so successfully. And that’s worth telling the world.